Rae Pica has been a children’s physical activity specialist since 1980. She is the author of 18 books and has shared her expertise with many groups and advisory boards. As co-creator and host of Body, Mind and Child, an Internet radio program for parents and educators, Rae interviews experts in the fields of education, child development, play research, the neurosciences, and more. Rae Pica with Maurice J. Elias, Ed Dunkelblau, Melanie Link Taylor, Jason Flom. Marketers have had us and our children in their sights for a long time, giving us a million ideas for how to spend our money to make this the best holiday season ever. But what are the childhood memories you cherish and recall from the holidays? Chances are they are less about expensive gifts than about fun and laugher with the people who loved you. Nathan Dungan, founder of Share, Save, Spend, joins Marti & Erin for a timely, helpful and heartfelt discussion about how to reduce stress, increase joy and enhance the significance of this special time of year. You will be glad you tuned in! TUNE IN HERE. What are some of your favorite childhood holiday memories? What made those moments so special for you? How can you use those childhood memories to help you create the kind of low-stress, joyful season you want for yourself and your family? For Nathan’s ME show about reducing materialism in our children & teens, click here. For Nathan’s ME show about teaching children about money, values & accountability, click here. For Nathan’s suggestions on keeping holiday spending under control, click here. For Money Sanity Solutions: Linking Money + Meaning, click here. children are eating enough fruits and only 7% are eating the recommended amount of vegetables! (Centers for Disease Control and Prevention). One reason children’s intake of vegetables is so low may be that children’s taste buds are different from adults’ taste buds. Children taste “bitter” flavors more than adults. Since a lot of vegetables are bitter, many children do not like the taste of vegetables. That doesn’t mean we should give-up. It’s important to continue to encourage children to try vegetables. The more they try different vegetables, the more their taste buds will become familiar to the bitter taste. I like the process the curriculum LANA (Learning About Nutrition through Activities) uses to introduce children to new vegetables (and fruits). Children are first introduced to a specific vegetable during a tasting activity where children have the opportunity to see, feel, and touch the vegetable. Children are also encouraged to taste the vegetable. Children have small tastes of the vegetable over the course of a few weeks. The vegetable is then introduced as part of cook ing activity. It has been shown that children are more willing to try new foods if they help to prepare it. The vegetable is later served as a snack and finally at mealtime. The advantage of slowly introducing new vegetables in a variety of ways is children will gradually become accustomed to the taste and texture of the new vegetable. It also reduces waste (and frustration) of teachers, child care providers, and parents as they will not prepare a new vegetable for a meal only to have most of it go uneaten. Visit the LANA website to view the tasting activities, cooking activities, menu ideas and more. The LANA Preschool Program is available to download. 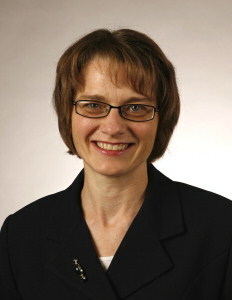 It was developed through a grant from the National Cancer Institute to the Minnesota Department of Health. 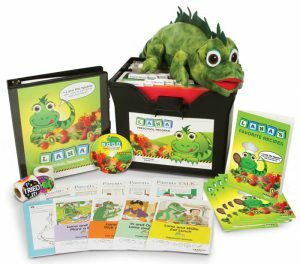 With the goal of promoting preschoolers’ consumption of a variety of fruits and vegetables, LANA was originally designed and tested as a 24-week program focusing on eight specific, highly nutritious fruits and vegetables. In summary, remember to introduce vegetables to children in small amounts over a long period of time. Stay positive and encourage children to try the new vegetables.